Drumroll please….Introducing NewcombValleyInn.com! The Newcomb Valley Inn was established way back in 1939 and is now 21st century with their presence online! Located just outside of Arcadia, WI, the Inn is surrounded by natural beauty. Your hosts, Tom and Connie, invite you to come and enjoy the scenery and the best dining in the area. When you stop at Newcomb Valley Inn you will enjoy a casual friendly atmosphere, very affordable delicious meals and a really cool rustic bar to enjoy a cold one. A fire in early 2015 nearly devastated their business. Tom and Connie rebuilt and they now have a fresh new look to the interior and exterior. It was time to get online. 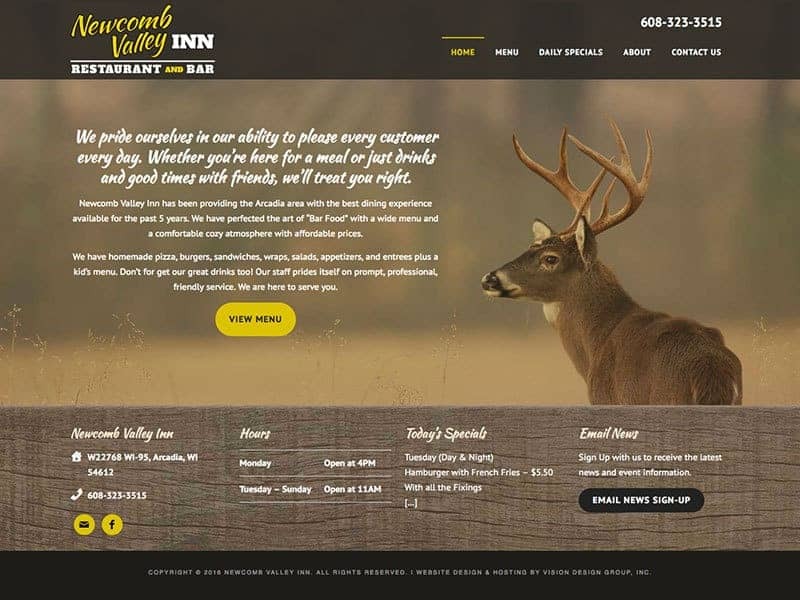 Our team got right to work to design a site that fitting to the Newcomb Valley Inn. Mobile friendly design with easy navigation allows website visitors to easily find what they are looking for. An on-site photography session provided beautiful photos to communicate the wonderful features of the bar and grill. The menus and specials can be edited at any time by staff. And now they can collect email contacts to promote news, specials and events with a email newsletter. 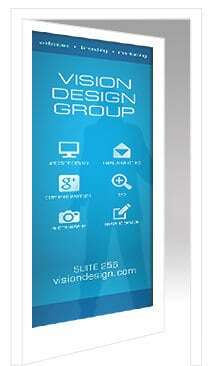 Let Vision Design get you into the 21st century! Contact us today to learn more about how we can help.